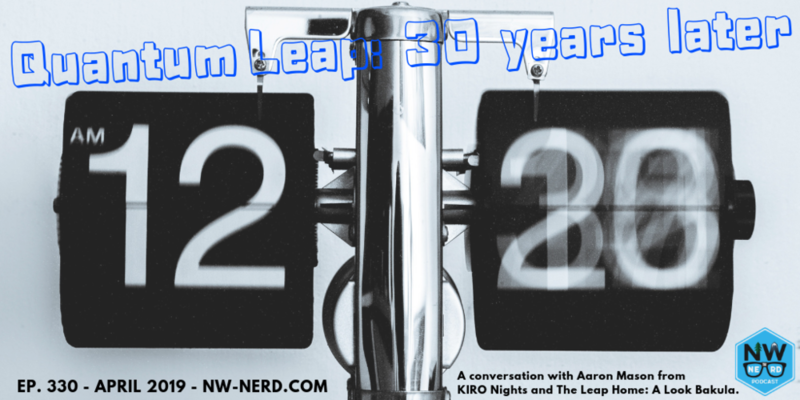 Aaron Mason with KIRO Nights and the podcast The Leap Home: A Look Bakula chats with NW NERD about the iconic sci-fi show Quantum Leap 30 years after its first episode. The show ran from 1989 to 1993, and has left a lasting impression — some good, some not-so-good — on fandom. Nick, Dyer, and Aaron talk about the show’s highlights, lowlights, and signature moments, including the time Sam leapt into a woman about to give birth, the time he helped the Civil Rights Movement, and much more. Finally, they discuss what episodes they’d like to see if Quantum Leap ever returned.